2019 Lunar New Year-The Year of the PIG. 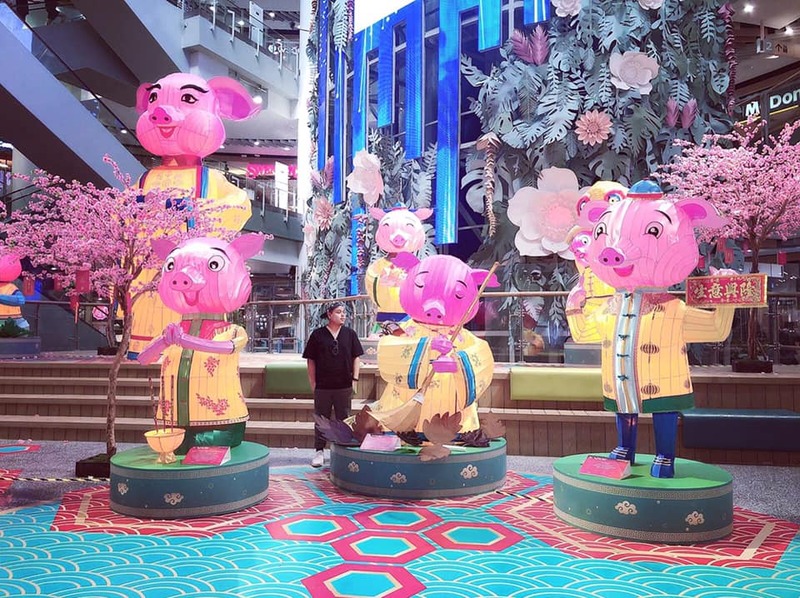 Photo captures Bangkok's Art and Culture Center's fun tribute to the year of the Pig celebrating the 2019 Lunar New Year. This large ultra modern Art and Culture Center 3 story complex located in the Siam/MBK area, regularly displays amazing interactive sidewalk creative features at their street level entrance. Close to my Bangkok hotel when returning from Laos', it's a must visit for me, time and again. For more information, please contact mdmeyer@indigothreads.org.